I have flown Alaska Airlines a number of times but do not have a Mileage Plan account. 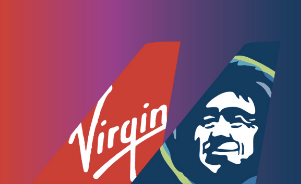 Since Alaska Airlines’ partners are across OneWorld and SkyTeam alliances, I usually bank my airline miles with either American or Delta whenever I fly Alaska Airlines. If you have Delta Medallion status, Delta also gives you bonus miles when you are on an Alaska flight – unlike Star Alliance partners. Unless you live in Seattle or Portland, I don’t see any value in managing another mileage account. Once you decide to bank your Alaska flight on one of their partners, you should always keep a copy of your Alaska Airlines ticket stub. Alaska Airlines does not always send your flight itinerary information to its partners. Alaska Airlines has failed to send Delta and American Airlines my flight information which led to me filling out multiple missing credit forms. Delta and American both require ticket stubs as a proof of flight in order to give you mileage credit. A credit card receipt or email itinerary from Alaska Airlines is not good enough. To save yourself the hassle of dealing with missing mileage credit (which is yours) from an Alaska Airlines partner, make sure you keep the Alaska Airlines ticket stub the next time you board an Alaska flight and are banking on a partner airline.